“The Original” album is custom designed to look & feel good. The Original 8”x 8” in included in our standard wedding package. Each page is hand designed by us at New Pixels to show off every little detail of your wedding. A magnetic clasp wraps around the front cover to protect the inner pages and is available in white or black faux leather. “The Frame” is our newest wedding album and we’re really excited to show you! For anyone questioning whether to get an album or not because you’re worried it will just sit in a box, this album is the ideal solution for you! It has been carefully designed to fit perfectly within a frame so that you can have it on display at all times. The album comes in four sizes and a wide range of colours to choose from. 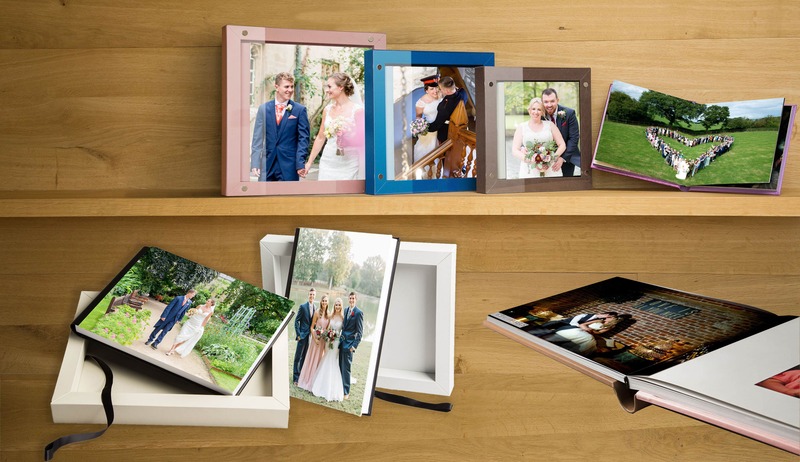 Whether you choose to have 40 or 400 photos in the album we’ll hand design your album to suit your wedding! “The Flush” is our most popular album. It allows us to expand your photographs seamlessly to the edge of the pages. This luxurious album is designed by us and made by Queensberry. These outstanding albums can be customised in more ways than you can imagine. 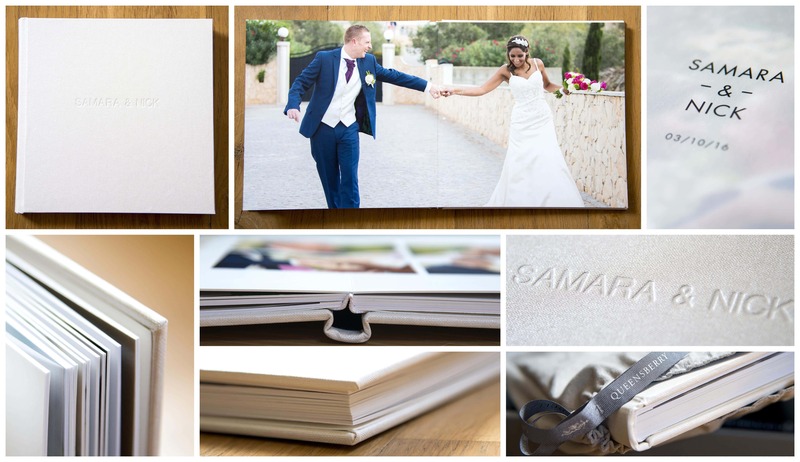 Whether you have your names embossed on the front or a large full page photo, these albums look great every time! Welcome to the best of the very best in the wedding album world. GraphiStudio albums are extremely eye catching. 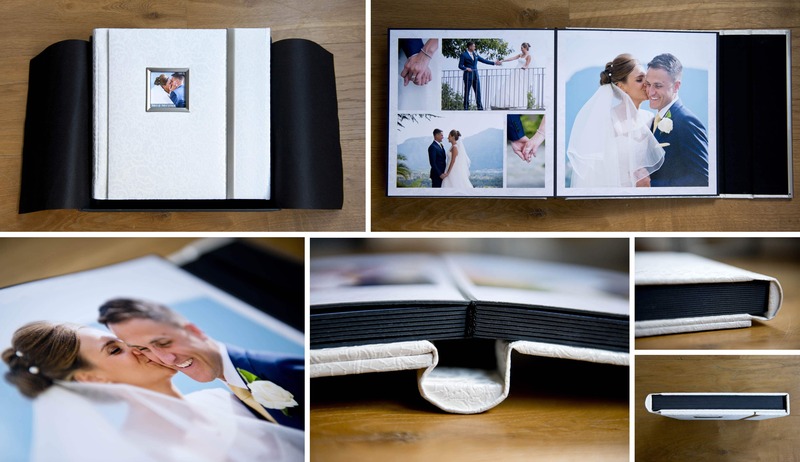 The album enables us to expand some photographs to the edge of the page whilst also allowing other pages to be overlayed with elegant ivory mounts. 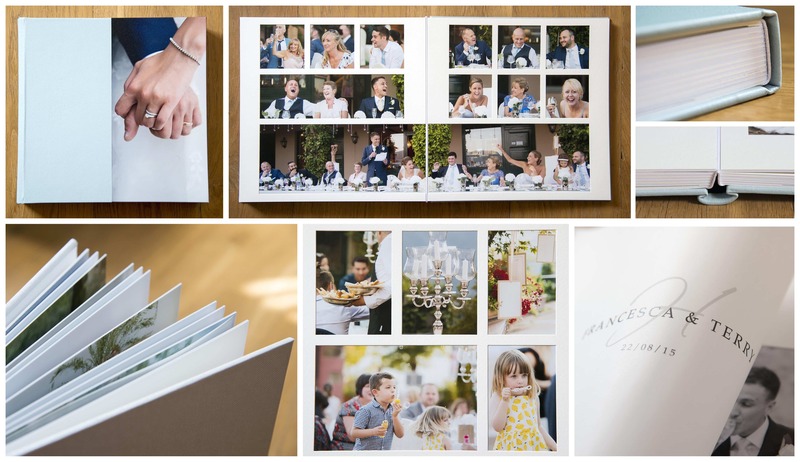 If you are looking to show off your photos in an elegant and breath taking way, this is the album for you! They are definitely our all time favourites. 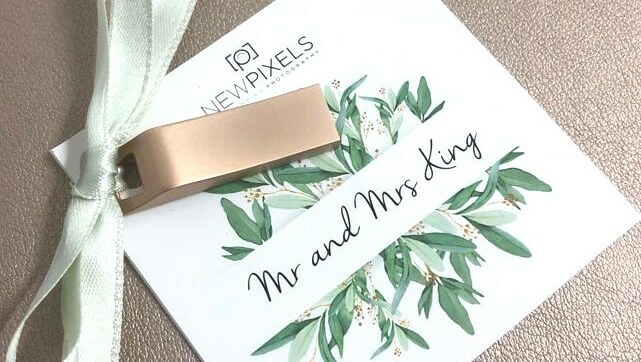 Every wedding we photograph receives one of our personalised high resolution memory sticks. All images are high resolution so you are able to print any size from them. We do not watermark any of the images on your memory stick or limit the amount of photographs you receive! No hidden costs, no additional extras, just great photos on a wonderful USB.